← For Sale: Hayward Home With Guest Cottage! 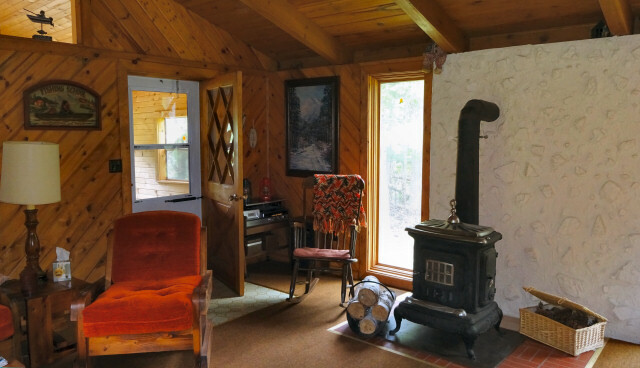 Warm and inviting 4-season Felser log cabin located on a dead end road on crystal clear Blue Gill Lake. 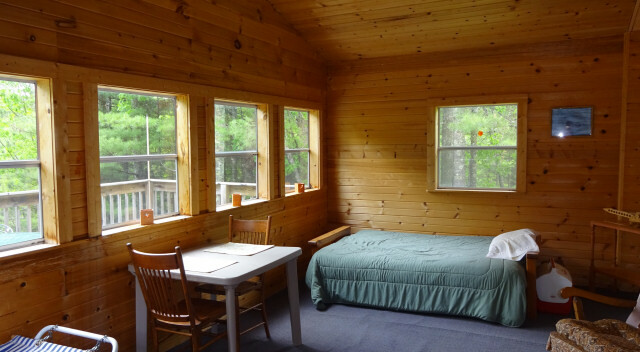 This cabin is turn-key ready and includes all furnishings, even the 14′ aluminum fishing boat! Bluegill Lake is a no-wake lake, 27 acres in size and about 23 feet deep according to the Wisconsin DNR, offering great swimming and fishing for panfish and bass . Efficient floor-plan with a spacious livingroom and kitchen, the vaulted tongue-in-groove ceilings and the wood stove offers a lot of northwoods ambiance. 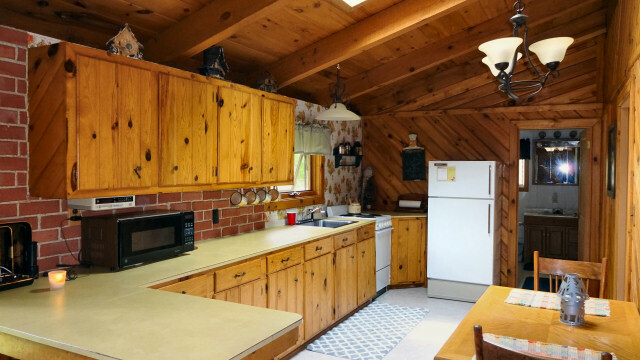 Everything is on one level – the large kitchen leads to the 2 bedrooms and full bath. Huge enclosed porch overlooking this scenic lake, plus a wrap around wood deck for outdoor enjoyment. 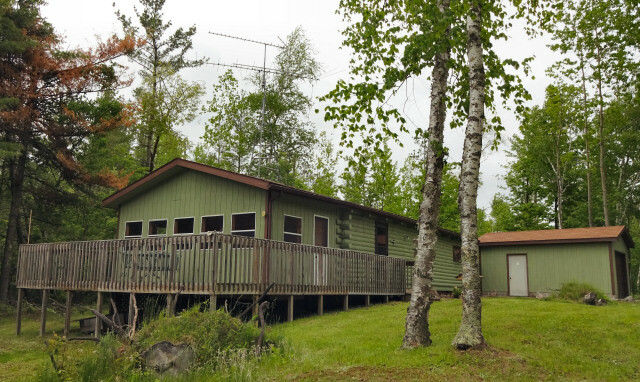 Currently, the owners find it more convenient to access the lake at the small public access which is next to the cabin, than to put in a walkway to their 50 feet of lake frontage. 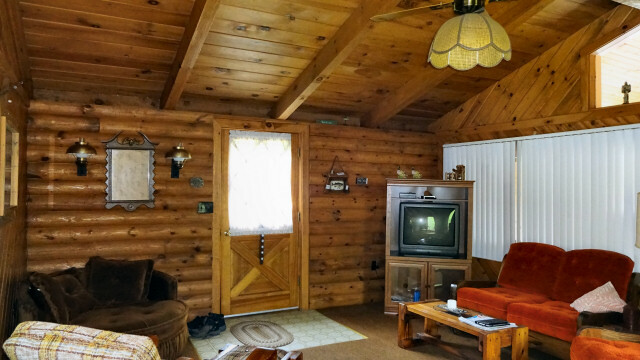 Come take a look at this affordably-priced log cabin today! This entry was posted in FEATURED PROPERTIES, waterfront cabins and tagged bluegill lake winter wi, felser log cabin for sale hayward wi, log cabin for sale hayward wi, log cabin for sale winter wi, log cabin on bluegill lake for sale, log cabin on water for sale hayward wi, northwoods log cabin on lake for sale. Bookmark the permalink.